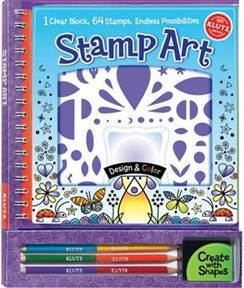 HTB Creations: Klutz Stamp Art Review and Giveaway! very cute. My kids would love this. This is so cute! My 10 year old son loves to stamp boyish creations and I think he would have a ball with this. Thanks for sharing! Their window decals look like fun too. Hi Helen - Would love to win for my granddaughter!